Did You Know that Federal Employees Can Request Leave as a Reasonable Accommodation? Many federal employees are unaware that they can request different types of leave as a reasonable accommodation. As it turns out, a request for annual, sick or even unpaid leave can be just the thing necessary for an employee to save their job. Employees often contact our firm when they are in the midst of a medical crisis while lacking the ability to continue to work and they are unsure what direction to take. One option is for the sick and/or disabled employee, if they are unable to provide “useful and efficient service” in their position of record, is to seek federal employee disability retirement with the Office of Personnel Management. While Disability Retirement can be a great option for some who truly can no longer work in their position, it is not the only option. However, once he or she has sought disability retirement, it is not an option for them to return to their position of record upon recovery. A better option for an employee who expects to recover is to request leave. When this happens, the question arises as to how much leave does a Federal Agency have to provide an employee, and when does it reach the point of disciplinary action, possibly including removal. The key is how the employee requests leave. There are a number of federal laws and agency rules and regulations that have been put in place to protect the sick and/or disabled federal employee. 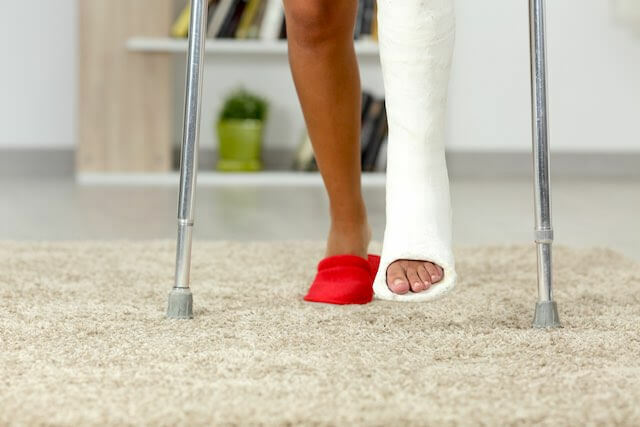 If the employee meets the definition of a disabled employee under the Rehabilitation Act of 1973/ ADA, that employee can protect their federal job by requesting to use their existing leave as a reasonable accommodation. If the employee can show that the use of annual or sick leave is an “effective” accommodation, then the Agency must provide this leave unless they can show that the use of that leave would reach the level of an “undue hardship” or that there is a similarly effective reasonable accommodation. Another option for the federal employee is to request this leave as accommodation under the Family Medical Leave Act (FMLA) under the theory that they are suffering from a “serious health condition” which is defined under 29 USC 2611 as an illness, injury or impairment, or physical or mental condition that involves inpatient care or continuing treatment by a health care provider. When requesting this leave and accommodation under the FMLA, the employee has protected themselves from being removed from their position for 12 weeks (of even unpaid leave) over a 12-month period. So, if you are a sick or disabled federal employee who feels they can return to work but just needs some time to recover and you want to protect your job, please recognize that if you are medically qualified you can shield yourself with a request for reasonable accommodation or a request for leave under the FMLA. Be aware though that the definition of disability varies based on the law or regulation you are asserting your rights under. © 2019 Eric Pines. All rights reserved. This article may not be reproduced without express written consent from Eric Pines. For over twenty years, federal employee attorney Eric Pines has been a trusted advocate and advisor to federal employees throughout the United States and the world. The firm represents federal employees from all agencies including Veterans Administration Title 38 Doctors and Nurses with an emphasis on assisting disabled federal employees from all federal agencies.